Definition of Insanity: Mowing your own lawn! Insanity is mowing your own lawn!! I finally broke down. I mean, in my disease I did a lot of labor jobs. Like hauling junk, mowing lawns and residential stuff I could do high and drunk. So now I get sober, and now I’m all picky! 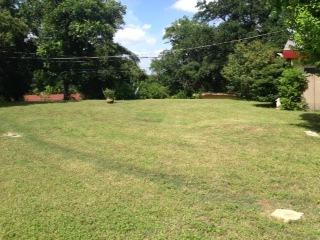 What once use to be the best kept lawn on my block, (thanks to meth), is now a maybe once mowed, every three months. And the problem, in case you hadn’t kept up with the national weather lately, it has rained a ton in south Texas! Problem number: the wife. (I say that with gratitude, not sarcasm!) However I refuse to pay someone for something I can do, at least every three months. But today was different. I was trying to get this podcast out, tomorrow I leave out of town, my wife was in one ear, and my pride in another! So I forked out 80 bucks. And I lived. Forgive me rushing through this, but I did my fifteen minute gym work out a little while ago and my typing is like pulling teeth! Also, this first podcast is for you! It was really a challenging process from the idea to actual finished product. So I hope you enjoy, get a lawn guy, have a great weekend and keep it sober!! !